Even before the arrival of the Galaxy S5 back in April, there was always a lingering feeling that Samsung was also plotting something better, perhaps even offering the metallic finish that so many have craved. 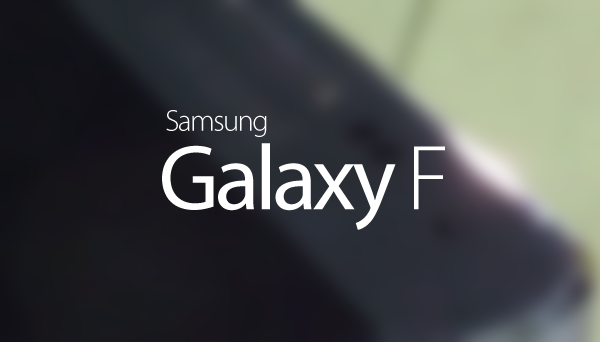 The Galaxy F, as it has been referred, has not escaped the headlines despite the release of the Galaxy S5 LTE-A, and now, we have yet another alleged sighting of this most elusive of smartphones. Check out the snap, as well as all of the other details we have on the device, after the leap. The Galaxy F, which has regularly been described as the Galaxy S5 Prime, is touted as a bigger, badder version of the current flagship, set to arrive around the time of the Galaxy Note 4, which is expected to be announced on the first week of September. Given the mere fact that the Galaxy Note 4 is en route to market as we speak, some have questioned the necessity of the Galaxy F, and more importantly, wondered who would end up buying it. After all, many Galaxy fans would have picked up the recently-released S5, and the rest will no doubt be waiting to pounce on the Note 4 in a couple of months’ time. However, by including this seemingly random new entry, the device could struggle to sell, but given what we know about the design, perhaps folk will be swayed by the improved build quality. For, yes – the Galaxy F appears poised to include some variation of metallic housing, and although this isn’t anything extraordinary in the wider market given the iPhone, HTC One and several others, it would represent a real break from convention for the South Korean electronics giant. Year in, year out, consumers have hoped that the next Galaxy would at least offer the option of a premium finish, but while we’ve had “brushed aluminum” effects, the line-up has remained perpetually plastic. As per this leaked snap, it looks like the chassis will be comprised of metal, although disappointingly, it doesn’t appear that the entire body of the device follows suit. Then again, as per the accompanying report from GSMArena, the fact that some of the device remains plastic will, in turn, allow the back cover to be removed without incident for removable battery / storage. Elsewhere, prospective Galaxy F owners can expect a quad-core Qualcomm Snapdragon 805 processor, a whopping 3GB of RAM, and a QHD display. 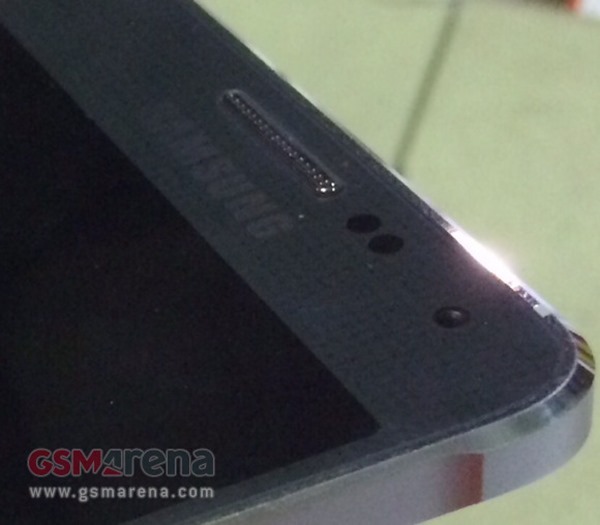 Samsung fans – will you be opting for this half-metal finish, or do you have your heart set on the Note 4?